This is one of my absolute favorite outfits that I’ve worn recently. I like the cut of the skirt and when paired with the button down top it is very flattering. I added colorful shoes, purse, and jacket to give the outfit more color and to make it spring-appropriate. 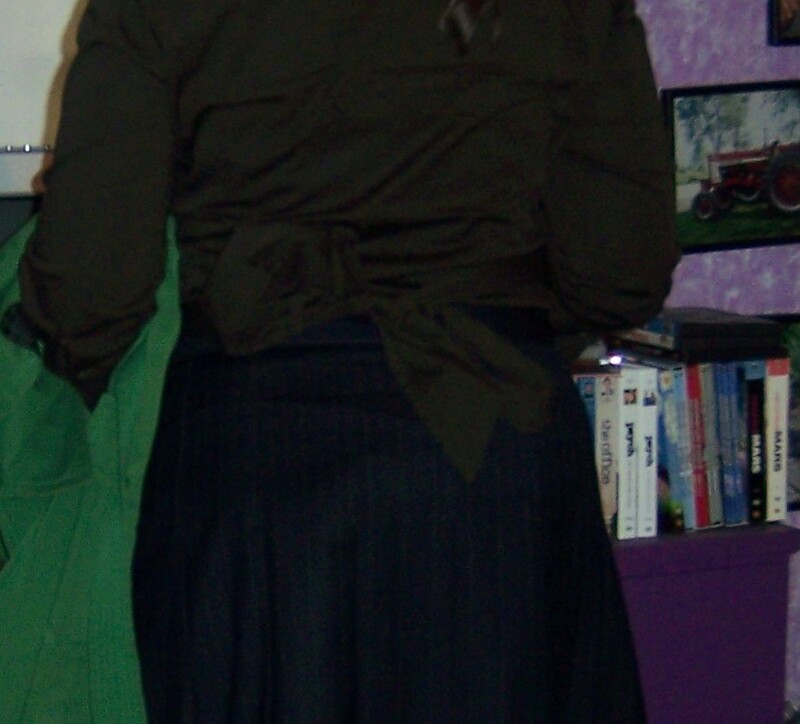 The top includes an attached belt, which I tied into a bow to give the back of the outfit a surprisingly feminine touch. This entry was posted on Monday, March 29th, 2010 at 6:00 am and is filed under Uncategorized. You can follow any responses to this entry through the RSS 2.0 feed. You can leave a response, or trackback from your own site. Ooo, I can see why you like this outfit! I’m a fan of using darker colors to make bright colors stand out.